First, check to see if your furnace already has an air filter in it. If it does, does the air filter fit properly? Does your current filter have any squashed corners or has it been forced to fit in the system? If not, the size should be labeled on the filter – and this is the replacement size you should be using when ordering your new air filter. If the size is not clearly labeled on your existing filter, you can measure it with a ruler. 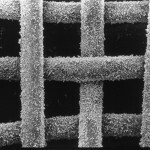 Keep in mind that most disposable air filters are undercut (this is an industry standard) from anywhere between ¼” to ½”. In most cases, you should be able to use the closest standard size. For example, an air filter measuring 15-3/4″ X 19-3/4″ exact, could be replaced with one that is 16″ X 20″. 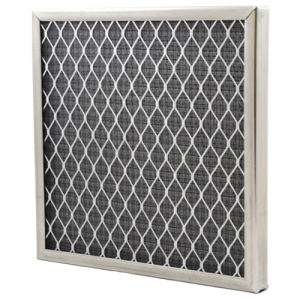 Here at Permatron, our air filters are undercut by ½”. If you do not have an existing air filter in your furnace, or your existing filter does not fit properly, you will have to measure the duct opening. To do so, you will need a flashlight and a stiff tape measure. Look inside the section of the furnace where the air filter should go, there should be a 1″ filter track or opening where the air filter slides into. You want your air filter to cover the duct opening. Measure the height and width of the duct opening and allow for a bit of overlap if you have room. This will be the exact size that you need to order for your new air filter. 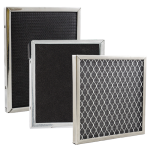 Now that you know the exact size of the air filter you need; you can either learn more about Permatron products to find the right air filter for you, or purchase your air filter online through one of our distributors!